With the next-generation iPhone set to launch sometime in the next few months – many credible rumors suggest October – concepts of what the device could possibly look like are being produced by designers already. 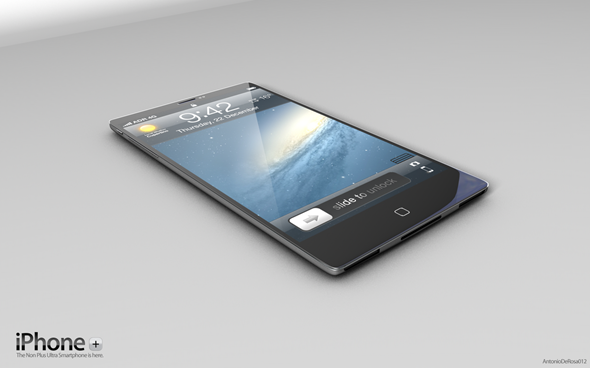 ADR Studio, a common source of such art has outed yet another concept mockup of what they call the “iPhone Plus”. 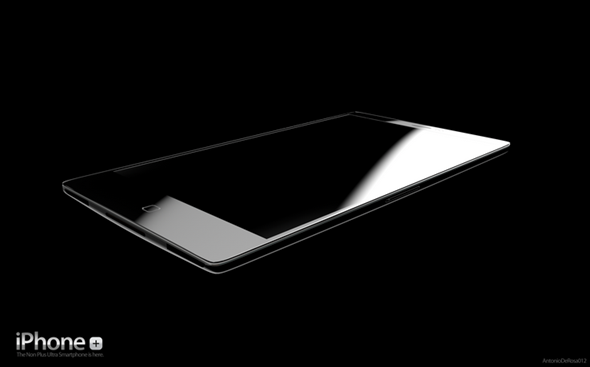 It depicts an extremely thin iPhone with a 4.3″ screen and an aluminum back, similar to the iPad, or even the first-generation iPhone in some regards. The mockup doesn’t stop at skin-depth, however. 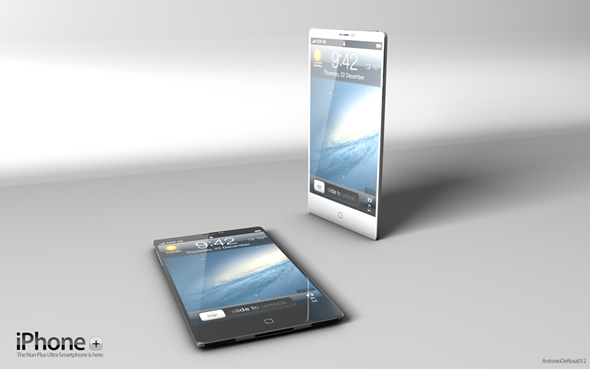 The concept also lists out a number of specs and features that the next iPhone should have: A liquidmetal body, a screen with double alkali-aluminosilicate sheet glass, a 4.3″ Retina display with In-Cell technology, an A6 quad-core processor, a rear 10-megapixel camera and a 2MP front-facing camera, a rear motion sensor, a pico projector on top to project content on surfaces, a slim-dock connector, and a fully capacitive Home button. Now of course, such a mockup as this is more of a fantasy of what the artist wishes that the iPhone could look like rather than a prediction. Anyone sensible would chuckle at the thought of a 4.3″ iPhone for example. It’s clear that Apple put a lot of research into the appropriate size for the device, and will not be changing their stance any time soon (the larger iPhone screen crowd are just as adamant about their nonsensical requests as the smaller iPad crowd are). A recent rumor has also suggested that Apple will not be implementing a capacitive Home button, and will rather just be making a minor and seemingly unnoticeable – at least to the user – change to that component. And finally, I’m not exactly a huge fan of the form factor of the device. 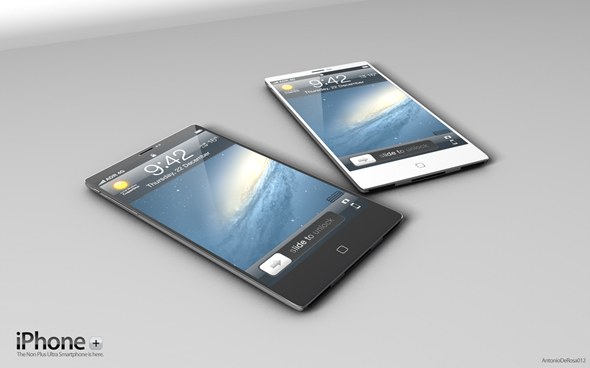 Holding a thin, less rounded iPhone seems like it would be uncomfortable in hand. The design also makes it look far less unique to other phones than it currently is. While I am critical about the design, however, the concept seems great on the fictional spec level. The addition of a projector seems like it has quite a bit of potential for presentation purposes, and a quad-core processor is definitely welcome. Now of course, props to the designer, but I’m just not a fan of these concepts. 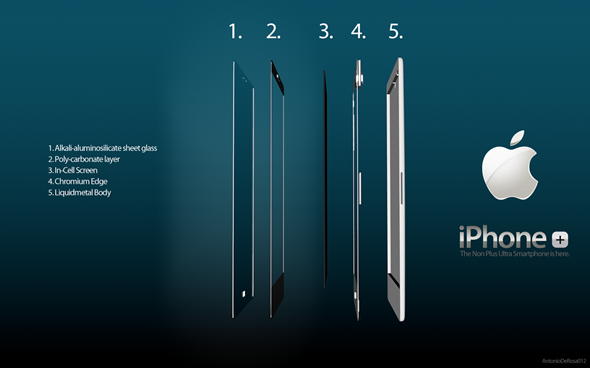 But, if you do want a thin, square, larger-screened iPhone, then you will find this concept to be the ultimate dream.